Home › news › TRANSFER NEWS : Ospina, Di Maria, Lovren, Griezmann…. Arsenal’s boss, Arséne Wenger, signed OGC Nice’s Colombian goalkeeper, David Ospina Ramirez, known in France as the man who replaced the Azurean club’s legend and current first choice for Tottenham, Hugo Lloris. Qspina was born in Medelin, Colombia 26 years ago. He became starting keeper at Atlético National in his home country, at age 17 and after 3 seasons, he was transferred to South France club of Nice, for 2M euros to replace departed Lloris . Arsenal and Nice, agreed to a £3.2M tranfert and a 4 year contract. The Gunners’ boss, also declared that Ospina could take the number 1 goalkeeping post from current first choice Wojciech Szczesny, if he could prove his abilities as the better keeper. The new recruit, shined during the World Cup in Brazil, but still, Claude Puel, Nice’s boss decided to give the number one jersey to the 24 years old, Joris Delle, hence the Colombian’s refusal to stay. 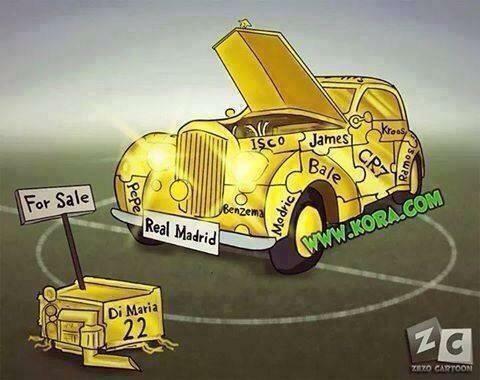 Which destination for Angel Di Maria ? Glamorous Paris or hard working Manchester ? Manchester’s United boss, Louis Van Gaal, made him the club’s priority. PSG is enable to pay the Argentinian’s high fee of £45M. still under UEFA’s ban for no respect of fair- play rules, the Parisian club can only offer a loan deal.The midfielder is unhappy in Spain and wants out; Real Madrid after paying £63M for James Rodriguez, will be delighted by this sale. French International, Antoine Griezmann, after shining in the World Cup, is now wanted by big clubs as Arsenal and Tottenham but he is getting very close to Atlético Madrid for a £23M tranfert fee. Atlético’s boss, Diego Simeone, declared that he would be delighted to have such an exceptional player in his squad. Bad news for Loîc Rémy; the Frenchman failed his medical and therefore there will be no contract with Liverpool. Is there a club or a player, you’re particularly interested (ex. transfers )? Contact us, we’ll answer as quick as possible.